A Safe and Healthy Home for the Children! 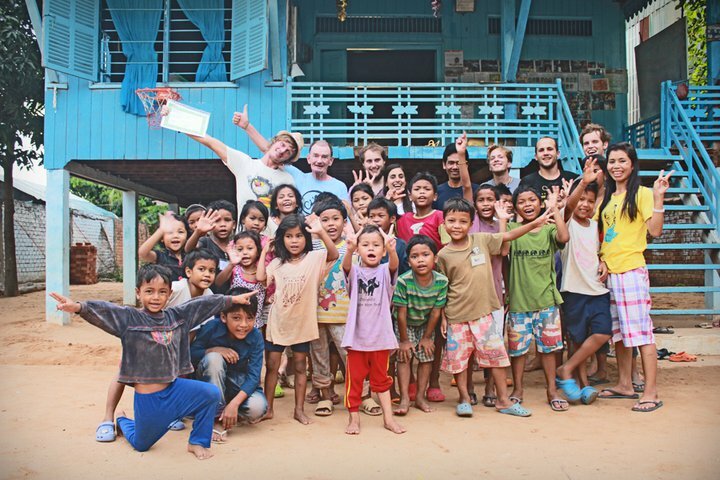 The CDO Children and Development Organization is a Cambodian organization located in Siem Reap that provides a safe, clean and loving home for orphaned or underprivileged children. We currently offer shelter to 25 children at the CDO Family Home in Siem Reap, most of whom are originally from Leap Chass village, a very remote village in rural Cambodia, 40 kilometers outside of Siem Reap, where they lived in very poor conditions. Many of the children we care for do have parents but come from families that can’t provide enough food or adequate care for their children, or the children have suffered from physical abuse and neglect. Whilst this is a full time commitment, we are also aiming to look after the children in Leap Chass village, where with the help of some sponsors we already built a school, a health clinic and wells. Our mission at CDO is to prevent children from living in extreme poverty and provide them with care and a good education. Essentially we want to make it possible for children to remain in contact with their parents and siblings and where possible, eventually return to a good living standard in their homes. At CDO, we wholeheartedly believe that with your assistance, we can change the lives of these children and give them the tools they need to emerge from the centre well-adjusted and prepared for the job market. Hope for the future!